Low Minimum Quantity on Most Products! Top quality Custom Printed Binders. Casemade Turned Edge, Paperboard, Organic & Vinyl Binders Available! Custom Printed Boxes in Full Color. Corrugated, Paperboard and Rigid. 100's of sizes and options are available! The Best Custom Presentation Folders. 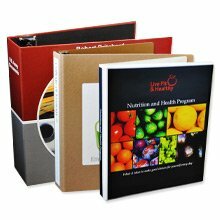 The widest variety of custom, top quality printed folders available on the web! The best quality Custom CD Sleeves. The widest selection of CD, DVD, and USB flash drive packaging on the web. Deliver it in our premium Custom Packaging. Our custom packaging is ideal for marketing and product presentation. Need Help? You can rely on our team! Logo and layout work by our talented staff of designers. 60 years of experience!